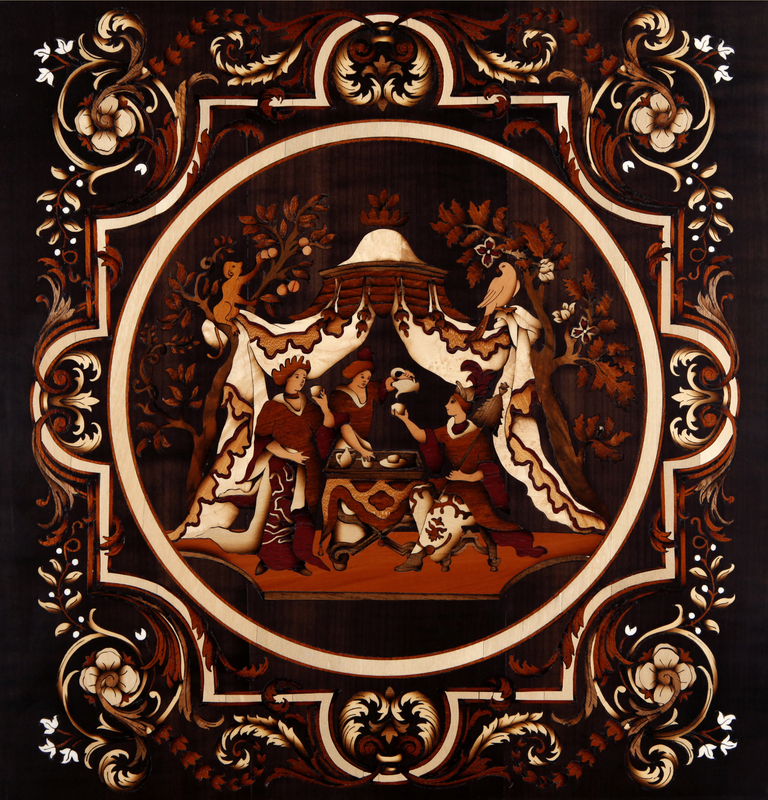 « Peinture en bois » is a marquetry technique which is close to the Boulle technique : we saw every veneer at the same time. 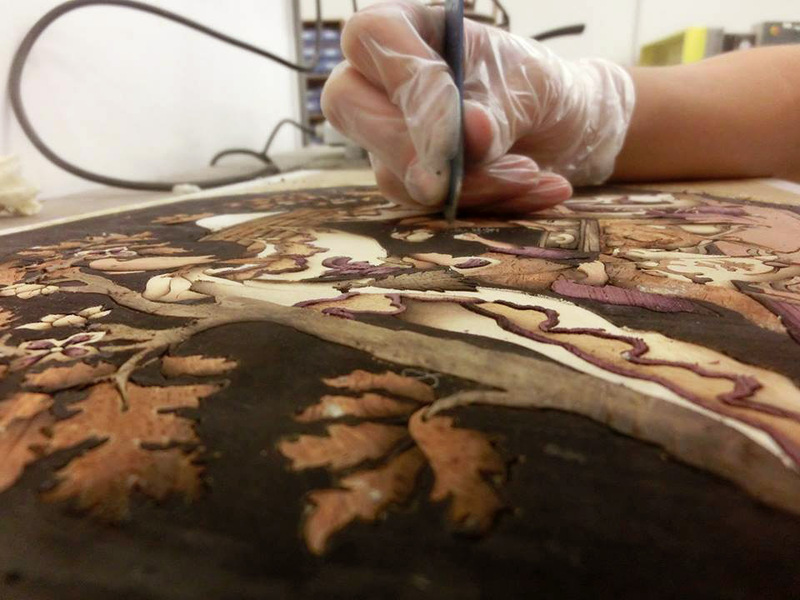 With this technique, unlike the Boulle technique, we can use many different veneers as we want. 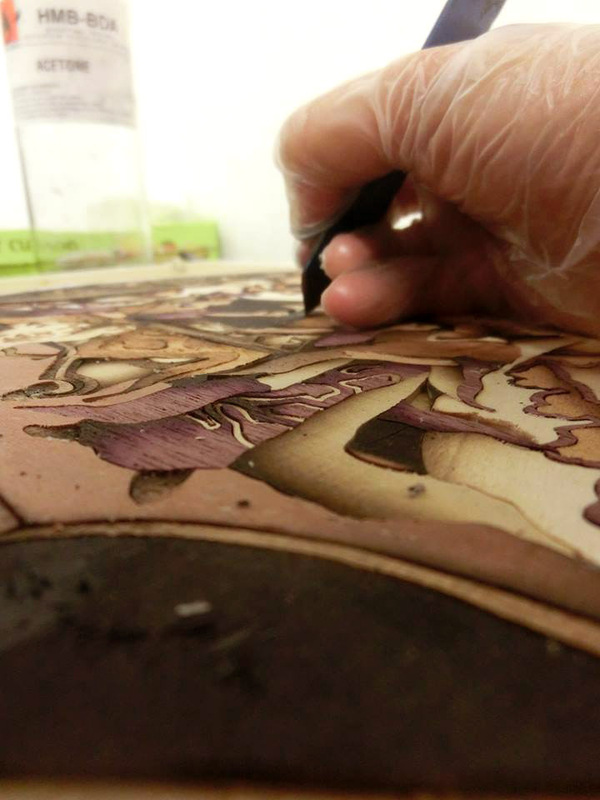 We have to place pieces of veneer together on a few layers. 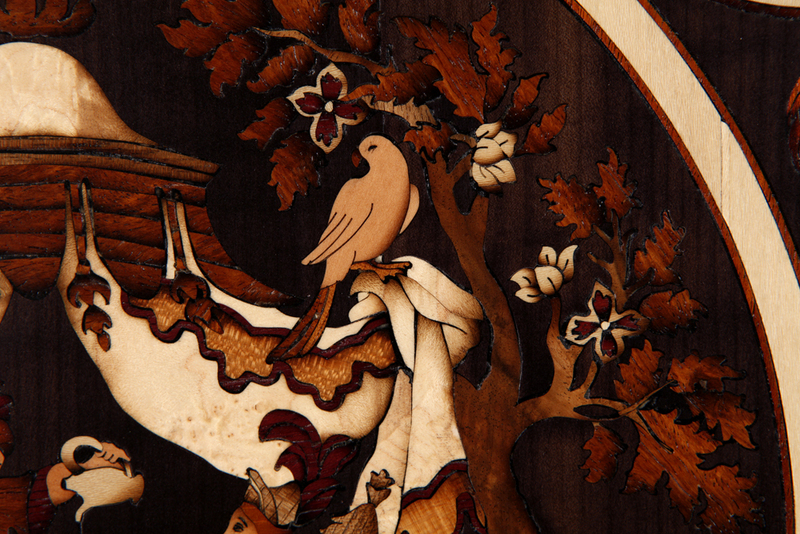 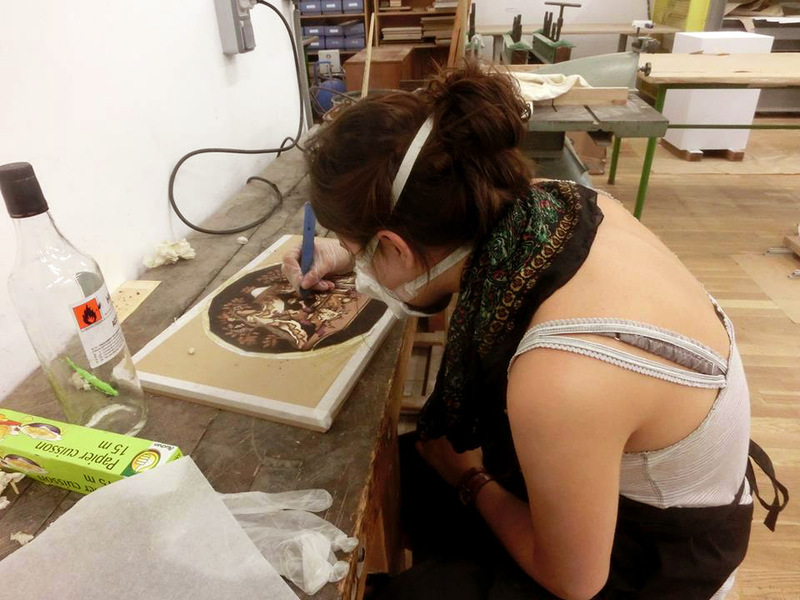 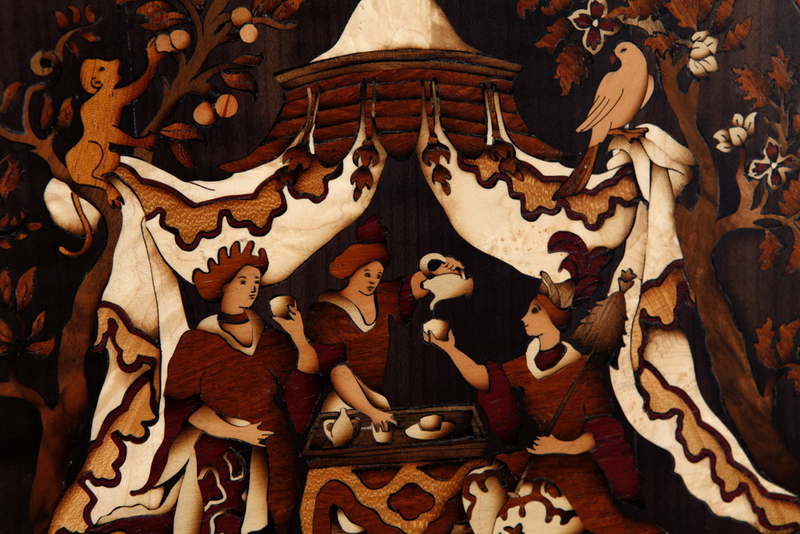 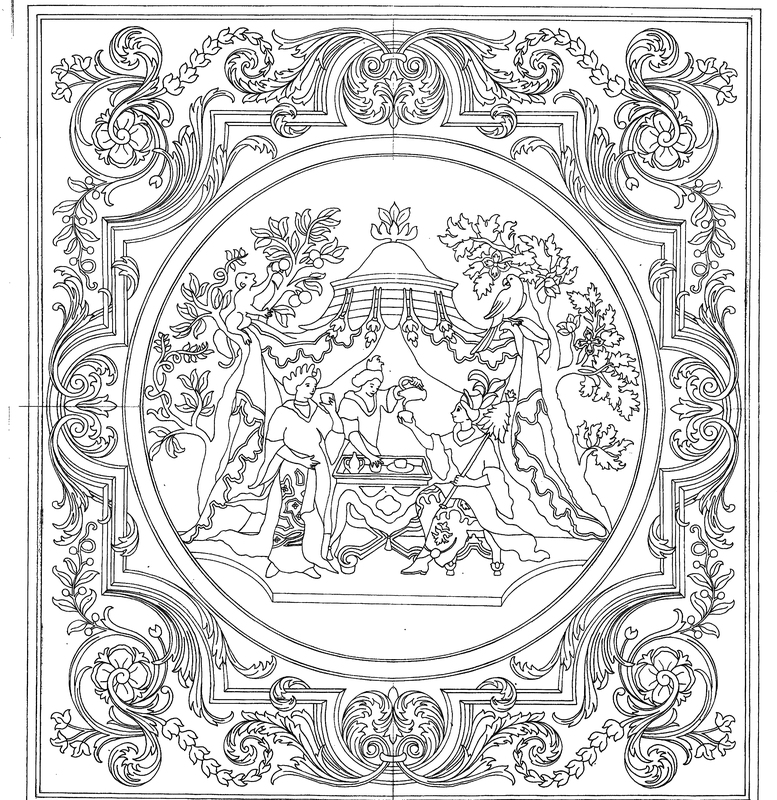 Because of that, the preparation of this marquetry is very important and quite long. 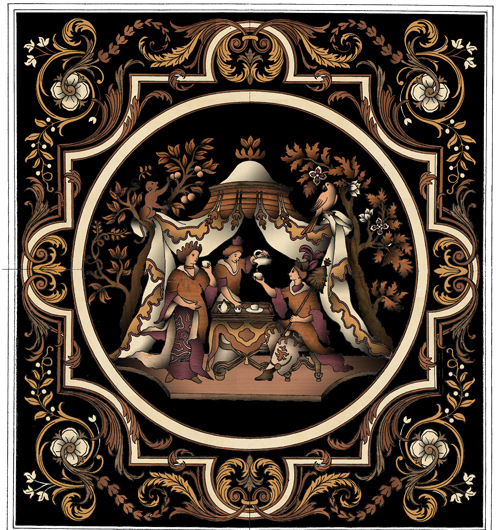 I chose to make a reproduction of a table from the 18th century. 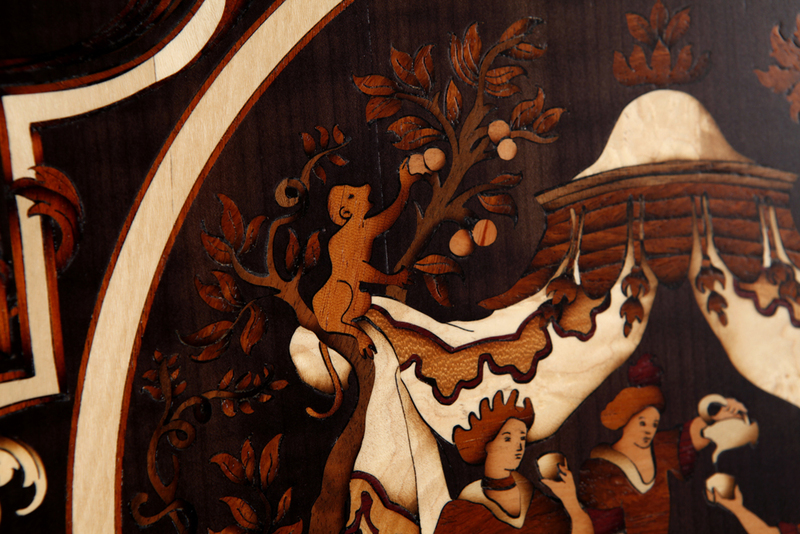 Pear tree, lemon tree, walnut, padouk, mahogany, holly tree, sycamore, amaranth and bone.